PC-DMIS Blade Software - CMM Inc. Developed in partnership with various blade manufactures, PC-DMIS is a turnkey solution for the analog scanning of blade sections. PC-DMIS Blade simplifies the job of creating blade measurement programs; it uses traditional, section-based techniques to analyze measurements, while providing a fast, flexible and highly accurate approach. 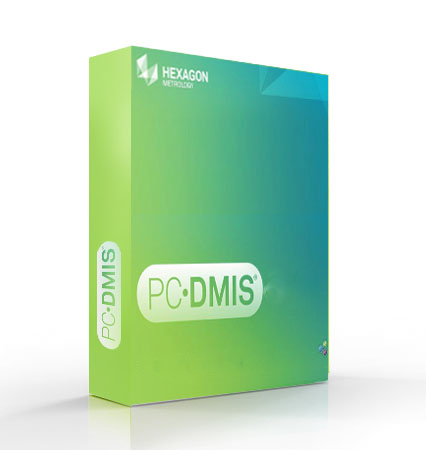 PC-DMIS Blade uses a Visual Basis add-on software, which is the basic PC-DMIS package. It features a simple GUI, which lets you quickly identify parts, select the sections to measure and initiate scanning sequences. Setting up a different blade type is a simple procedure, which involves entering a new set of parameters; no additional CMM programming is necessary. PC-DMIS Blade “flavors” its calculations based on your methods. Calculate many blade characteristics differently with algorithms supporting different evaluation techniques. To switch from one to another, you only have to edit one line of an ASCII text file. Easy to understand graphical reports canalso be generated by using the PC-DMIS Blade. You can configure it to report on important characteristics including chord width, leading edge thickness, twist angle, mean camber line, etc. A range of alignment procedures are also included with the PC-DMIS Blade. In addition to supporting the preferred method of root holding with XYZ offsets and angle rotation to the stacking axis, this system also supports 3D iterative alignments using either CAD surface models or 6 point rest.